Looking for a video bible study series for your youth group? 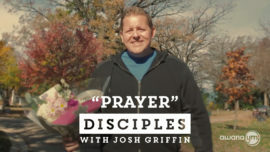 Disciples is a study on what it means to be a disciple for Christ. 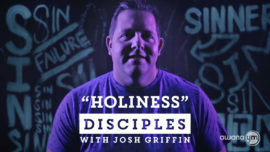 Each lesson features a video from youth ministry guru Josh Griffin and includes a leader's guide, student handout, and parent guide. God wants us to surrender our will and our ways that we may become like His Son, Jesus Christ. 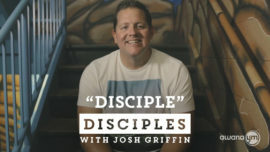 Use this video curriculum to help students know that being a disciple comes with a cost and instructs them to yield their own will in order to follow Jesus. This lesson includes a video, student handout, leader’s guide, and a parent guide. Worship is our heartfelt response to the goodness and love of God. 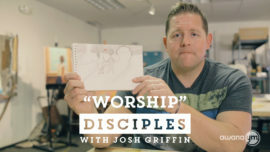 In this video curriculum lesson, students will know that worship is more than a set of rituals. Worship is an expression of love to God in response to His goodness. This lesson includes a video, student handout, leader’s guide, and a parent guide. Prayer is a conversation based on a loving relationship with our heavenly Father. This video curriculum helps students know that prayer is a regular and essential practice of the Christian life. This lesson includes a video, student handout, leader’s guide, and a parent guide. Without faith, it’s impossible to please God. 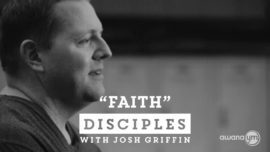 Help your students understand that faith is essential to a relationship with Christ with this video curriculum lesson. This lesson includes a video, student handout, leader’s guide, and a parent guide. The transformation to become like Jesus Christ is a process. 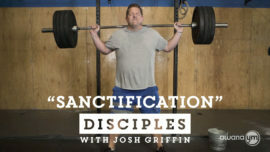 In this video curriculum lesson students will understand the process of sanctification and God’s desire to engage with us in this process. This lesson includes a video, student handout, leader’s guide, and a parent guide. Our true identity is found through a relationship with Jesus. 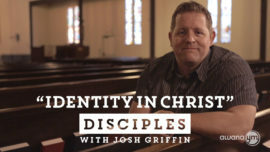 In this video curriculum lesson, students will know that their identity in Christ is not defined by their sin or the world around them. This lesson includes a video, student handout, leader’s guide, and a parent guide. Mankind is broken due to the effects of sin. 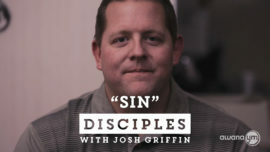 In this video curriculum lesson, students will understand the destructive nature of sin, knowing that sin is more than bad choices or mistakes, but a brokenness that cannot be escaped. This lesson includes a video, student handout, leader’s guide, and a parent guide.